Leading the industry in conditioning oilfield water through innovative, environmentally friendly, Chlorine Dioxide treatments. 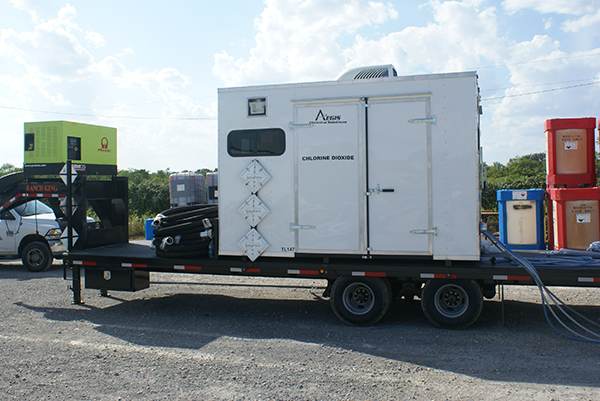 ClO2 can be used in FRAC operations to disinfect the frac fluid before being sent downhole. 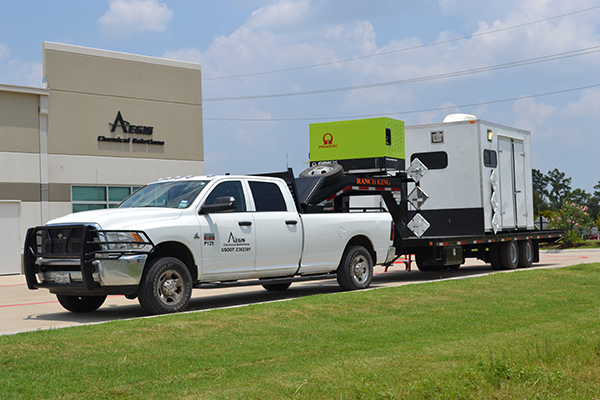 Such treatment mitigates issues with bacteria, iron sulfide, and H2S from the beginning. This treatment ensures better quality oil production and higher return on investment due to lower equipment maintenance costs. Sterilize and disinfect water in pits or tanks. ClO2 can be used on produced water as well to clean it so it can be reused many times before needing to be replenished. ClO2 will help break up any oil/water emulsions in the holding tanks of SWD systems for better separation. If bacteria and iron sulfide are causing well injection pressures to rise, ClO2 can be used to destroy the bacteria and break up the iron sulfide, thereby lowering well injection pressure. This can be done on a treatment schedule or at each truck offloading. 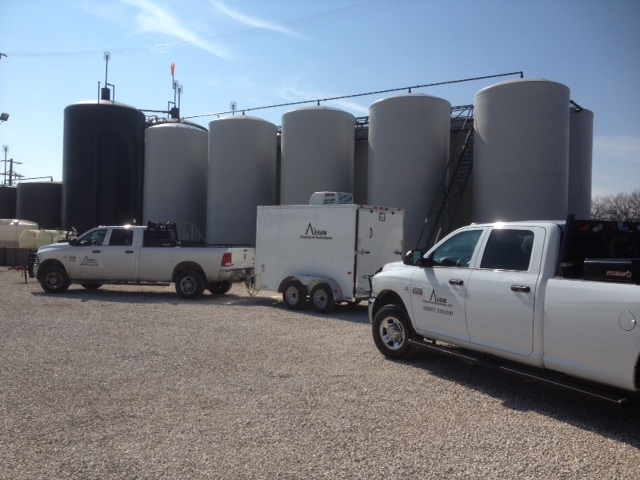 Keeps storage tanks clean in the process. ClO2 can be used on wells currently in production to remediate problems with bacteria, iron sulfide, H2S and scaling. ClO2 treatment will help maintain the casing, tubing, and wellhead. It will help produce better quality oil as the ClO2 removes existing bacteria from the formation.